MINNEAPOLIS (AP) — Democratic presidential candidate Amy Klobuchar says she raised $5.2 million in seven weeks after announcing her 2020 bid. COLUMBIA, S.C. (AP) — Democratic presidential candidate Cory Booker has netted the first endorsement from a sitting lawmaker in the crucial early-voting state of South Carolina. GRAND RAPIDS, Mich. (AP) — A western Michigan man has pleaded guilty to making a threatening phone call last October to presidential hopeful Sen. Cory Booker of New Jersey. MINNEAPOLIS (AP) — Add Amy Klobuchar to the list of 2020 Democratic presidential hopefuls who support legalizing marijuana. 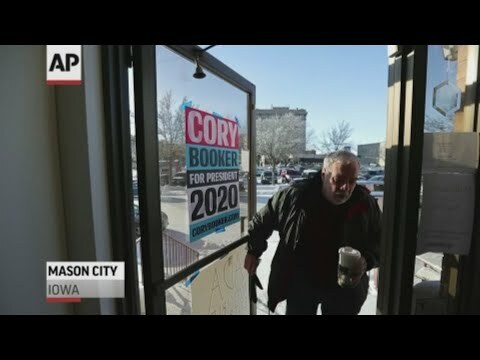 LAS VEGAS (AP) — New Jersey Sen. Cory Booker will make his first trip to Nevada on Sunday as a Democratic presidential candidate. 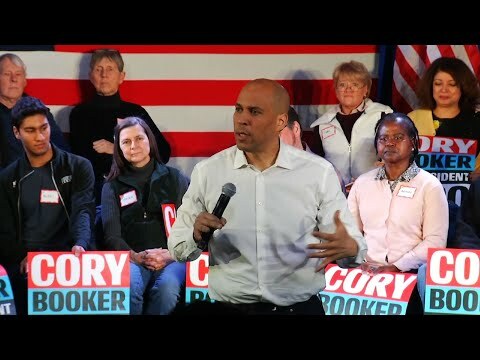 TRENTON, N.J. (AP) — New Jersey Democrats are lining up behind Sen. Cory Booker's 2020 presidential campaign. WASHINGTON (AP) — The Senate has unanimously passed legislation that designates lynching as a federal crime. New Jersey Democratic Sen. Cory Booker is stressing a theme of social justice on the first visit of his presidential campaign to Iowa. Booker's first stop Friday was to a crowded church basement in Mason City, where he said denying health-care coverage was like denying civil rights. WASHINGTON (AP) — Federal authorities on Friday captured a Florida man with a criminal history and a fervor for President Donald Trump and accused him of sending at least 13 mail bombs to prominent Democrats, capping a nationwide search in a case that spread fear of election-season violence with little precedent in the U.S.